Easy to shell. Clusters of 5 or 6 pods. Bush varieties mature earlier than pole limas and don't need support. 2 oz. of seed per packet, which will sow a 15' row; one lb.,120'. 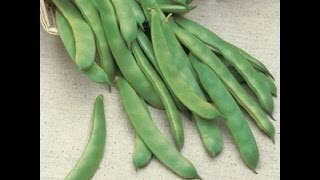 Burpee's Bush Lima is easy to shell and will produce clusters of 5 or 6 pods, 5 1/2" long and slightly curved, each containing 4 or 5 large, flat, oval beans. Original Burpee selected strain. Bean, Lima Burpee's Bush is rated 5.0 out of 5 by 2. Rated 5 out of 5 by Angie from Excellet Bean These are easy to grow, with the plants full of bean pods. Exactly like Burpee describes. Rated 5 out of 5 by LadyTimberWolf from Much Improved Bush Lima Bean! 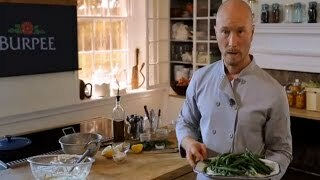 Delicious, easy to grow lima beans. No supports needed though I did plant them next to a fence for some support. Long growing season. Not bothered much by pests. Very tasty when steamed. Best eating with a little butter and salt!